Who wouldn't want to work in the solar industry? The PV market is 108 times bigger than it was a decade ago, making for an ever-growing number of job opportunities. For many idealistic job seekers, solar blends cutting-edge technology deployment with environmental good -- a seemingly perfect combination for those wanting a sense of purpose in their jobs. But solar companies are no different from companies in any other industry. Employee burnout, poor internal communication and complaints about compensation are all issues that top solar installers deal with. In some cases, these problems are compounded by extraordinary growth that makes it tough to establish consistency for employees. 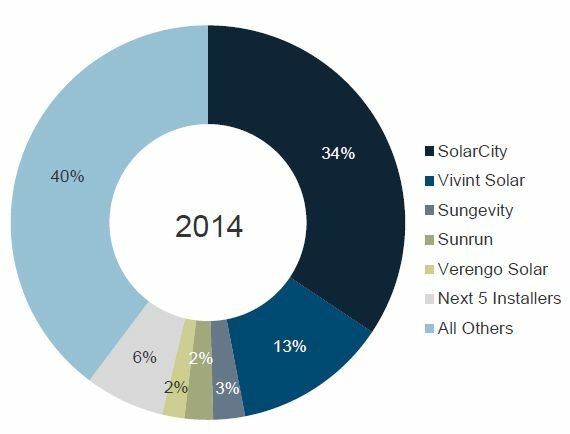 The top five installers in 2014 were SolarCity, Vivint Solar, Sungevity, Sunrun and Verengo Solar, as ranked by GTM Research's PV Leaderboard. 1. SolarCity: "You will work all the time. If you're very, very lucky you may sleep or eat." Pros: Clean energy is a great industry to be in. Elon Musk is on the board, and people like him. Cons: In terms of raw salary and stock, compensation is fairly competitive, but benefits are terrible as far as tech goes: Two weeks vacation, well below average health, dental, and vision, no flexible time, no match on your 401(k), limited holidays, no transportation assistance, unpaid maternity leave only, etc. SolarCity claims they want to be more of a tech company, but have maybe 40% of the benefits you get at a tech company. Although they do have free snacks and soda (unfortunately very few, if any, healthy options). You will work all the time. If you're very, very lucky you may sleep or eat sometimes. That's closer to the truth than most will believe. You will be asked to work every evening, weekend, and night. When I left, I knew a guy that had worked the past 12 weekends straight. If you don't do this you will be threatened with being fired. As in, your manager will literally approach you and say if you don't work 70-80 hours per week, you will likely be fired (as my manager did to me). And this comes down all the way from the top. There is no work-life balance here. There's just work. If you attempt to improve the company's processes, your manager will tell you, "I want you to feel empowered to make changes around here," but they won't actually empower you. So you keep suggesting things to improve productivity, but no one will ever really listen. But they will keep asking you to be more productive by giving the company all of your time. They'll claim there's "too much to do" to focus any efforts on improving processes. That's the very same sentiment that kills companies. No one cares because they're too busy checking the stock price and cashing out. I caught Pete Rive -- the CTO -- checking the price in a meeting once instead of paying attention. "What a classy leader," I thought. Competence doesn't matter here. The average quality of software engineers is on the level of high school students. They refuse to learn new ways of getting things done, and don't believe in best practices. Many, in fact, are vehemently against best practices. Again, the "no time" argument comes up a lot. The sentiment that kills companies. No one is ever fired for being incompetent. If they were, every engineering manager up to and including Pete Rive would no longer be at the company, as well as 90% of the staff that's been there for more than a year. They don't care how efficient you are as long as you're working a lot of hours. My manager watched a person spend 50 hours over the course of 3 days on a task and give up, gave the task to me which I completed in an hour, and didn't bat an eye. There's no place else I can think of where that would be remotely acceptable. Pros: Execs and managers are enthusiastic and passionate about the company and this energy trickles down to the rest of the employees. Everyone I've met is open, warm, friendly, and inclusive, and they all love what they do. A great deal of trust and creative freedom had been bestowed upon me, which was exactly what I wanted and needed from an employer. Leaders value suggestions and input from all employees and encourage ambition and innovation. Benefits are comprehensive and generous, pay is good, and growth opportunities are ample. Cons: There was an orientation for new hires, which I was grateful for, but I felt like some essential things were missing from the whole process -- setting up our workstations, making sure we had phone numbers/extensions, learning how to use the printers, just basic stuff like that. Only con I've experienced so far, and I was able to figure it all out eventually. 2. Vivint Solar: "A culture that believes that free swag compensates for lousy hours and low pay." Cons: Management that doesn't seem to care about employees. A culture that believes that free swag every now and then compensates for lousy hours and low pay. PV designers at (our largest competitor) make more than twice as much, plus benefits... we get free soda. This company also has absolutely no standards on who it will hire. The bulk of my time is spent fixing other peoples' mistakes, which is both mind-blowing and infuriating. Mind-blowing that people can be so bad at a job so easy. Infuriating that the company continues to employ such incompetent people. Advice to management: My team just got a new manager -- and the first thing he did was call a meeting to say that our team is not good enough and all he cares about are numbers (being the most efficient team). All he cares about is "number of designs /hours worked." Anyone who knows HR will tell you that a company's most important asset is its employees -- people. Not numbers. Don't treat employees like numbers in an equation. The more swag you give away, the less respect you have for yourself and your employees. Swag is just a cheap shiny object you hold in front of someone to distract them from how bad their job is. By choosing to use that tactic, you're admitting to yourself that you purposely choose simple-minded employees that will fall for such tricks. You cannot build a successful company on the scale you are planning if you continue to maintain such low standards. Pros: Growing company with a very friendly culture. Lots of opportunity to grow. They have a good sales force that has come from their sister company Vivint. Their D2D model allows for a lot of freedom for sales reps but also high expectations. If you perform, you are rewarded. I felt overall the customer service was good. It is a very young and energetic company. Cons: Growing pains! Lots of sales reps lose lots of money because operations can't handle the sales volume. Bad BBB rating causes reps to lose deals. This is mostly due to their affiliation with the sister company Vivint. Huge workload on sales reps to create, manage, and get accounts to install. There was a lot of babysitting accounts instead of selling. Sometimes it feels like there is a disconnect with corporate's desires and the sales reps' desires. A lot of young people in important positions who often make questionable rushed decisions. Advice to management: Somehow find a way to put employees' needs before investors' needs. Most relationships from upper management felt forced and artificial. Also provide more support to new markets that need special attention. Measure twice and cut once. 3. Sunrun: "Despite the most positive attitude, it just seems like the odds are working against you." Pros: Free breakfast on Mondays and lunch on Fridays; you really are coming to work every day to change the future of energy; wonderful CEO. Cons: I really have high hopes for the company, but the culture at Sunrun is not great. Internal communication is terrible and practically nonexistent, benefits have been taken away, employees are worked like dogs because the company wants to stay "lean," the departments that need help the most can't get head count increases. It's nearly impossible to be productive at the office because it's so loud and chaotic. There are never conference rooms available. Cross-functional teams don't work together or communicate because they're too overworked. Despite the most positive attitude, it just seems like the odds are working against you when you're working at Sunrun. And it really stinks when you believe in the product and business model. Don't give out an employee engagement survey, give employees hope things will get better, and proceed to take away benefits after the survey goes out. What a punch in the stomach. Make culture a priority so smart people will want to work at Sunrun. Pros: Working to change the world and the way people buy power, leadership is focused and working on the right tasks and objectives, profitable. The company values are ideal; they want their employees to be happy and committed for the long haul. Cons: It is the solar industry and part of the solar coaster. Products and policies are constantly changing and it is an ever-evolving company. That is part of what makes it fun, but it is challenging to stay ahead and motivated at times. Leadership is constantly pushing for more sales, more kW installed, work harder and faster for less benefits. Financial compensation could be better. 4. Sungevity: "You have to make sure you are perceived to be on the right 'team.'" Cons: It's a politically tense place -- you have to make sure you are perceived to be on the right "team." There is lots of stress between the big-picture marketing vision and the day-to-day sales and operations. When money is good, this isn't a problem, but when money is tight it gets ugly. And money is often tight -- Sungevity has had to stop work due to money concerns more than once (making for an interesting customer service situation). Add to that a technology team that prioritizes work based on which executive squeals the loudest and you have a recipe for frustration. Advice to management: Figure your internal battles out and present a united front to the company, with more detail on why you've made a decision rather than just what that decision is. 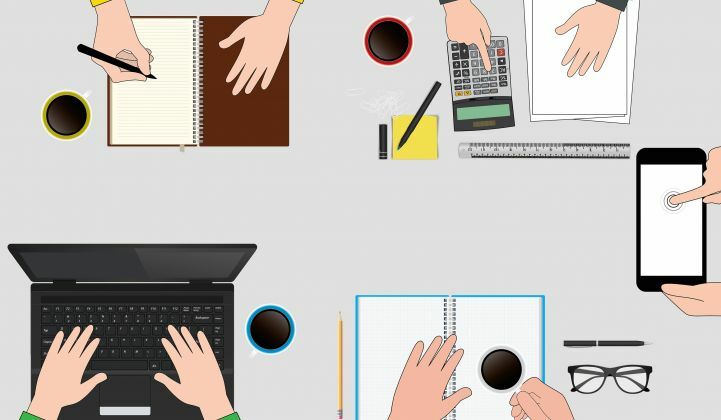 The C-suite is at odds with each other, and the CEO is often excited about strategic projects that get de-prioritized by the operations team and therefore not done. It would save a lot of energy if you would stop the one-upmanship and concentrate on growing the business. Pros: Sungevity has a great mission-driven culture, we have missionaries that really care about helping the planet and our customers. But we are also a sales organization with the best pay in the industry, so we have our share of mercenaries as well. A successful organization requires both in my opinion. There are fantastic benefits that go above and beyond much of what I have had in the past or what I would have received in other roles I interviewed for. Full medical, dental, vision, life insurance, stock options...food in the kitchen and a ping pong table. We have very friendly and helpful HR and admin staff to help make sure you get the best of your FSA, IRA, 401(k) and every other acronym you can imagine. We focus on hiring referrals of current employees to keep the company culture alive, we have generous vacation and sick time allotments, and a beautiful view of the bay and the SF skyline to boot. Our leaders are engaged, approachable and know how to get us re-energized, which is important because we work HARD. The sales organization, and in particular top performers, work WAY more than your usual 9-5, no beating around that bush. But the good news is the pay definitely makes it worth the extra effort. I was also promoted a year after being hired, and over those 12 months I have seen a number of my colleagues change roles and transition into other departments, get raises/promotions, take on leadership responsibilities etc. They make a point to keep people onboard and happy, by providing growth opportunities and changes for people who need a change. 5. Verengo Solar: "Company plans are changing on a weekly, monthly basis." Cons: Verengo Solar was an excellent company to work for when I first started working here a couple years ago, but the work condition has deteriorated over time. 1. Too much workload. There are fewer people doing more work than before. 2. Low compensation and benefits. Not many paid holidays. 3. No direction from senior-level management. Company plans are changing on a weekly, monthly basis. No one knows what is going on. 4. Limited opportunity for promotion. 5. Everyone is kind of in their own world and don't like to cooperate with other departments. Pros: I was a Sales Rep working for Verengo. They are doing it the right way. Really good leadership in sales. They ask a lot of their sales team but treat you well in return. I got good leads and made good money, but left because of the hours. I really liked their emphasis on honesty and treating customers well. Cons: It's all about the hours. Sales reps have to grind here. Lots of evenings and you'll need to work weekends to get good leads and make good money (nature of the business -- we need to run leads when homeowners are available to meet with us). For more data on America's top solar installers, see GTM Research's PV Leaderboard.